"The Rolemaster Standard System is a detailed, state-of-the-art FRP system that adds realism and depth to your campaign without sacrificing playability. 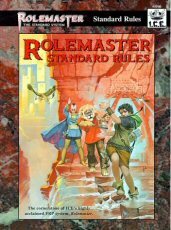 The Rolemaster Standard Rules are the cornerstone of this system and provide all the rules and guidelines that you need to play in one of the most realistic FRP systems available. Experience the ultimate in fantasy role playing, Rolemaster. • A wide range of character creation choices — 20 professions, 16 cultures & races, and 36 training packages (spy, loremaster, diplomat, scout, etc.). • Material for unique character backgrounds, including: a wide variety of background options, a comprehensive system of talents and flaws, and a system of role traits. • A system of temporary and potential stats determined by using both assigned and random elements. • A skill development system that allows a character to develop ability in skills without absolute restrictions. Each skill is grouped with, similar skills in a skill category. In addition to developing individual skills, each skill category can be developed, improving all of the skills in that category. • Complete, consolidated guidelines for resolving actions: moving maneuvers, static maneuvers (a table for each skill category), extraordinary spell casting attempts, and attacks (melee, missile, and spell). • Action sequencing based on how fast a character attempts to perform an action: as a snap action (quick with a penalty), as a normal action, or as a deliberate action (slow with a bonus)." "Rolemaster is a detailed, state-of-the-art FRP system that adds realism and depth to your campaign without sacrificing playability. 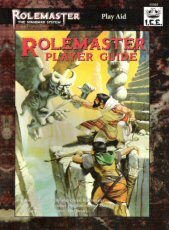 Rolemaster: The Basics provides all of the elements that you need to learn to play in one of the most realistic FRP systems available. 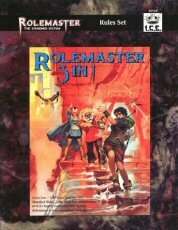 Experience the ultimate in fantasy role playing: Rolemaster. • A selection of Rolemaster's wide range of flexible character creation choices — 5 races, 9 professions, and 20 training packages. 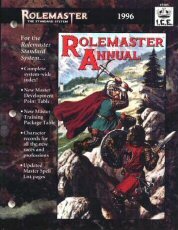 This allows GMs and players to learn the basics of Rolemaster without having to immediately deal with the myriad of choices provided in the Standard System. 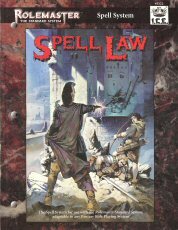 • A selection of spell lists from Spell Law — all of the spells for the 9 professions included in Rolemaster: The Basics. 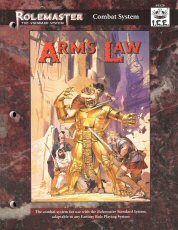 • A selection of attack and critical tables from Arms Law — this is all you need to resolve weapon and animal attacks. • Detailed material for unique character backgrounds, including: a wide variety of background options and a system of role traits (motivation, personality, etc.). • A system of temporary and potential stats determined by using a combination of assigned and random elements. • A skill development system that allows a character to develop his ability in any skill without absolute restrictions. Each skill is grouped with other related, similar skills in a skill category. • Complete, consolidated guidelines for resolving all actions: moving maneuvers, static maneuvers, and attacks. • Action sequencing based on an initiative roll and how fast a character attempts to perform the action: as a snap action (quick, but with a penalty), as a normal action, or as a deliberate action (slow, but with a bonus)." "Two 3-face screens and 50 pages of reference material." "This book contains everything that a beginning Rolemaster player needs to know about how to play. This solves the problem of trying to introduce new players to Rolemaster, only to have them balk at the immense volume of information to absorb. 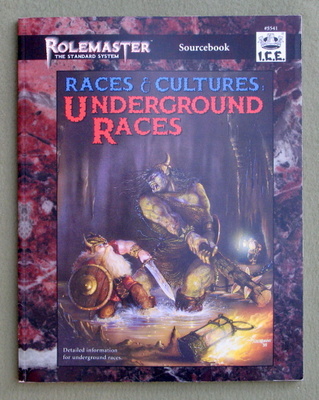 In addition, veteran Rolemaster players will find the pre-generated characters and summarized rules a great reference! 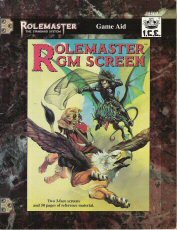 • A general overview of the Rolemaster system, everything that is needed for most decisions a player must make. • Eleven fully developed characters, with information for every single level from first to tenth (including special items gained and lost). • Attack tables for the player to use along with the appropriate critical strike tables and fumble table). • Spell lists, spell attack tables, spell critical tables, and spell failure table. • The General Static Maneuver Table and the Moving Maneuver Table." 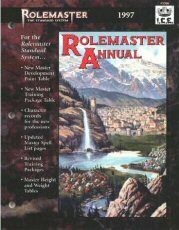 "The Rolemaster Annual brings you the necessary components of the Rolemaster Standard System that have been updated over the year of 1996. Here is what you will find inside. • A master index for the entire Rolemaster Standard System! • Seven new professions (and a few new skill categories) were added in 1996; the Master Development Point Table has been updated to reflect this. • Sixty-two new training packages were added in 1996; the Master Training Package Table has been updated to reflect this (including adding the new professions). • Skill and Skill Category Character Record Sheets have been added for the seven new professions. In addition, because new races have also been added, new Racial Character Record Sheets have been added. • The master spell list pages have been updated to reflect the new spell lists in the system. • All pages are provided in an easy-to-use, three-hole drilled, perforated format." • The updated Master Development Point and Master Training Package Tables. • Skill and skill category character record sheets have been added for the new professions (Taoist Monk, Zen Monk, Runemaster, Mana Molder, Warrior Mage, Summoner, Warlock, Mythic, and Priest). • Blank record sheets have been added for the genre books (Black Ops and Pulp Adventures). • A new spell skill development record (showing all spell lists for all realms). • Master spell list pages have been updated to reflect the new spell lists in the system. • Some revised training packages for Arcane Companion. • A Master Height and Weight table for all the races of the Rolemaster Standard System. "Feel the thrill of melee, brace against a monster's charge, master the martial arts, let your arrows fly — do battle with the best combat system around! 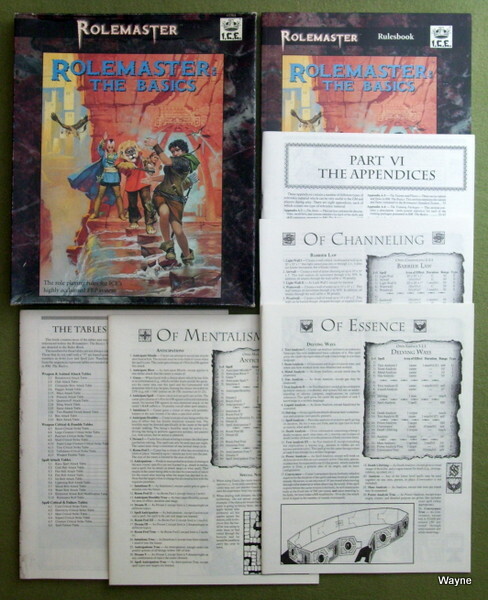 This system is one of the four cornerstones of the Rolemaster Standard System. However, it is fully compatible with the earlier editions of Rolemaster. • A fantasy/medieval melee and missile combat system including tables for 29 different weapon types (including attacks and fumbles). • Thirteen attack tables that handle special types of attacks, including animal-type attacks, falling damage, brawling, and martial arts. • A dozen different critical strike tables that detail severe damage delivered from critical hits — including Slashing Critical Strikes, Puncturing Critical Strikes, two types of Martial Arts Critical Strikes, Unbalancing Critical Strikes, etc. • Guidelines for using these tables with other FRP games." * How to determine the best types of game for you to run based upon your skills and personality. * How to design exciting and intriguing stories, NPCs, and backgrounds. * How to build believable backdrops for your stories. * How to fine-tune your stories as they progress. * How to keep your campaign backdrop evolving to create an ever-changing world for adventuring. * How to enhance the enjoyment of your gaming sessions. * How to utilize some of the special types of gaming environments, such as tournaments and online gaming. 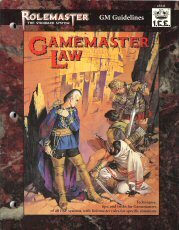 * How to use Rolemaster mechanics and rules for very specific situations." "Feel the crackling flow of Essence course through you as you repel the soul-tearing power of a dark cleric! Stand firm against the insidious power of the mentalist, and loose the ravening elemental force of nature and void against your foes! Cast your lot with the best spell system around — Spell Law! Spell Law is the highly acclaimed magic system that improves any game! Now revised, reformatted, and reorganized, this is a mighty tome that can add realism and depth to your campaign without sacrificing playability. A must for your favorite characters, be they Magicians, Clerics, or Mentalists! • Over 2,000 spell descriptions on 183 different spell lists based upon three realms of power and 18 professions. • Critical strike tables for Heat, Cold, Impact, Electricity, and spells against Large and Super Large Creatures. • Tables for resistance rolls, basic spell attacks, and expanded spell failures. • Optional rules providing further depth and detail for a campaign. • Extensive guidelines for using these tables with other FRP games." "From the ranks of the paupers, comes the champion of kings! Now you can explore the incredibly diverse possibilities of options available to characters through their backgrounds. 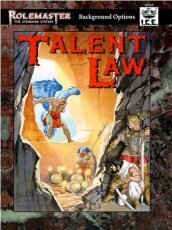 Talent Law provides GMs and players with a new system of customizing characters through background options. In addition, GMs can now create new races that are inherently balanced against all other races in the game! * A point-based system for background options that allows characters to select from: -- Special Training (e.g., Elvish Training, Natural Horseman, Outdoorsman, etc.) -- Special Abilities (e.g., Lucky, Eye of the Hawk, Blessed by War God, etc.) -- Physical Abilities (e.g., Infravision, Resilient, Ambidexterity, etc.) -- Mental Abilities (e.g., Telepathy, Battle Reflexes, Photographic Memory, etc.) -- Mystical Abilities (e.g., Destiny Sense, Look of Eagles, etc.). * Complete guidelines for the GM to customize the background options to his own world. * A new system for determining starting wealth for characters based upon their selected wealth levels (e.g., a character can choose to have a wealthy background or a penniless peasant background). * A point-based system for a GM to use in creating new races for his world. Using this system will result in new races being balanced when used with all of the races currently in the RMSS." • A full write-up on every one of the underground races presented in Creatures & Monsters (a total of 13 races with more than half a dozen pages on each race). Races include: Dwarves, Gnolls, Gnomes, Goblins, Halflings, Hobgoblins, Kobolds, five different kinds of Ores (including the spell-using Grey Ores), and Troglodytes. • Each write-up contains detailed information about religion, style of clothing, weaponry, armament, lifestyles, and more. • Training packages unique to members of a given race that represent special kinds of lifestyles (the Goblin Inventor, the Hobgoblin Boarsaddler, the Gnoll Path Finder, etc.) and vocations (the Dwarven Sokhudnerrim, the Gnome Scholar, the Halfling Shirriff, etc.) found only among members of the race. • Spell lists available only to members of a given race (e.g., the Gnollish Glyphstones, the Orcish Scar Unbinding) that represent special magical abilities of certain races. • Full adolescent development tables that are completely compatible with the Rolemaster Standard System." "Inside this sourcebook, you will find details on the history of castles, the construction of castles, the folk who dwell in and around castles, as well as how castles age to become ruins. • Many new Training Packages that represent the vocations and lifestyles of the folk around castles. • A new kind of spell list in Rolemaster: Training Package Spell Lists. These spell lists only become available through training packages. • Details on the processes used in castle construction (finding sites, materials, labor, etc.). Guidelines on costs are also provided. • Details on staffing of castles as well as notes about the day-to-day operations of these bastions of power. 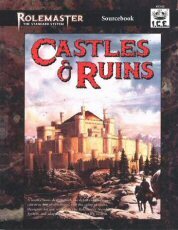 • Guidelines on how castles age, becoming ruins. These ruins and other structures are often the sites of of lost treasure and many adventures." • A discussion of the concepts and premises behind Arcane magic and how GMs can introduce it into their games. 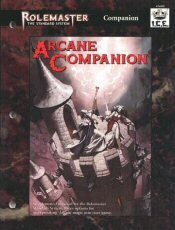 • Guidelines on how to mesh the rules for the Arcane into the Rolemaster Standard Rules, how to handle temporary enchantments (called Bladerunes), and the risks of using Arcane magic. • Four new Arcane-using professions. • Rules for controlling the acquisition of Arcane magic (through the use of a new concept — macro lists). • 46 Arcane spell lists (including 10 Open Arcane Lists, 10 Closed Arcane Lists, and 26 Arcane Base Lists). • Four new spell attack tables (including Void Bolt, Void Ball, Mana Bolt, and Mana Ball attack tables) and a revised Basic Spell Attack Table. • A Spell Failure Table for Arcane magic." You can now determine how many gemstones are set into that bejeweled cup; or what the King will think of the magical saddle that you have found. Inside this book are full discussions on the nature of wealth in a fantasy role playing game. Also, the long awaited Alchemist profession, is now added to the Rolemaster Standard System. • A discussion of the concepts and premises behind treasure, wealth and the effects they have in a GM's game world. 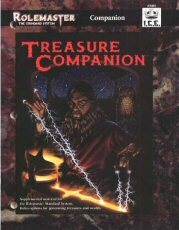 • Guidelines on how to mesh the rules for alchemy presented in this book into the Rolemaster Standard System, buying and selling magical items, and ways to customize the treasure generation tables. • Three new Alchemist professions. • 22 Alchemist spell lists (including 4 General Alchemy Base Lists, and 3 Divine Alchemy Lists). • Complete tables for generating all types of treasure (including a detailed system for generating gemstones and jewelry). All magic items generated from the tables can be created using the spells presented in this book. 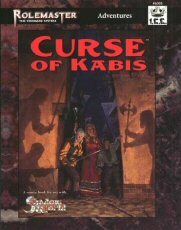 • Complete item descriptions for over a hundred unique magic items." "The Martial Arts Companion gives -you all you need to add true depth to martial arts in your game. Whether you run historical, fantasy, or even modern day campaigns, the rules in this product will assist you in giving martial artists the strengths (and weaknesses) they deserve. 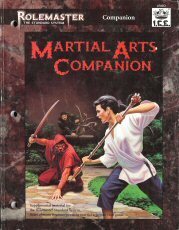 • New and redesigned martial arts skills for the Rolemaster Standard System. • Examples of historical martial arts styles (as well as rules on using martial arts in the modern day). • Guidelines on how to make the concept of martial arts fit into your campaign (including notes on the cultures from which most martial arts are derived). • Rules for customizing martial arts styles. • Two new variants of the Monk profession with new and revised spell lists for each. • New and revised background options for martial artists. • New and revised training packages that allow specialization for your martial artist. • New Chi powers and abilities that allow characters to transcend normal limits of physical reality. • New attack tables for martial arts weapons." "You have joined the cabal of wizards and now your power grows. Soon, when the ritual has finished, all will know the wrath of the Ivory Fang! From forgotten tomes of magic to the schools of wizards, now comes forth a deeper exploration of the realm of Essence! 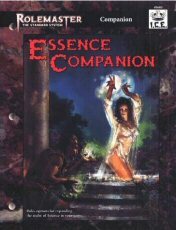 The Essence Companion delves deeply into the magical realm of Essence magic. Inside, you will find new professions, variant rules, new options, and a wealth of spells. • Three new professions that use the realm of Essence: the Warrior Mage, the Mana Molder, and the Runemage. • More than a dozen new training packages for characters to develop. Many of the packages focus on some very specific aspects of the realm of Essence. • New definitions within the realm of Essence that allow further customization of your Essence spell user. Now you may be a Somantist, a Nomenist, an Herbalist, a Corpist, or a Crystalist. • Optional rule systems for learning skills and spell list specialization. This includes a discussion about structures for learning. • More than 30 new spell lists for the realm of Essence (including Open, Closed, Training Package, and Base lists). • Detailed tables showing magical properties found in herbs and animal parts (just how much magic is there in an "eye of newt?")." "At last, the ancient priests of forgotten gods have brought forth new information for the realm of Channeling! 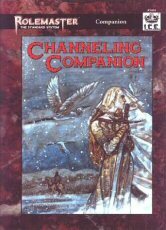 The Channeling Companion explores the magic of the gods in detail. In this book, you will find new professions, variant rules, new options, and (of course) lots of stuff for priests. • Four new professions that use the realm of Channeling: the Priest (the new pure Channeling user), the Summoner (a hybrid spell user that uses magic to summon creatures and forces), the Warlock (a hybrid spell user that focuses on scrying, fate, curses, etc. ), and the Mythic (a religious agent). • A dozen new training packages for characters to develop. • Guidelines on divine status and what effect it can have in a character's life. • Rules for how to handle divine intervention. • A complete system for creating customized priests (built to reflect the details of a given religion). • Dozens of new spells lists for the realm of Channeling. • New critical tables for holy weapons and holy spell effects." "Open your mind and the let the Essence of the Universe flow through the channel into your soul! 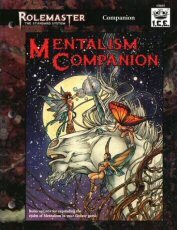 The Mentalism Companion explores the magic that is mastered by the sheer power of your mind. In this book, you will find new professions, variant rules, new options, and (of course) lots of stuff for Mentalism spell users. • Four new professions that use the realm of Mentalism: the Seer (pure spell user that specializes in divining information), the Astrologer (a hybrid spell user that divines by studying the heavens), the Enchanter (a hybrid spell user that creates mental illusions), and the Armsmaster (a mentalism-trained warrior and soldier). • More than a dozen new training packages for characters to develop. • New rules for handling "mental" combat as well as new rules for handling spells that require concentration. • A discussion about the differences between the new mental illusions and the traditional elemental illusions. • Dozens of new spells lists for the realm of Mentalism." "Welcome to the world of espionage, mercenaries, counter-terrorists, and covert operations. Enter the realm of Black Ops! 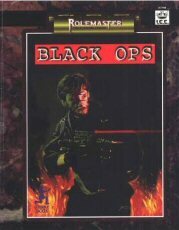 Black Ops is the first Rolemaster Standard System" genre book and details the modern day world of covert operations. Like all genre books, this book will give you new rules for creating characters and handling combat, as well as details on the genre itself. • Three new professions for characters in the modern world and five normal RMSS professions, revised and updated for the modern setting. • Guidelines for using the RMSS skill system, background options, and Weapon Law with Black Ops. • Details on modern equipment, terrorism, counter-terrorism, and intelligence agencies. • 3 sample adventures and several mini-adventures. • Complete guidelines for using Black Ops with RMSS." "Shortly after the turn of the century, came the time of heroic adventures; a time of dames and gangsters; a time of new technologies making anything possible; it was the era of the Pulp Hero! 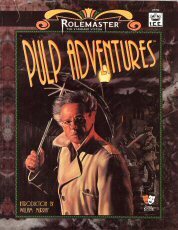 Pulp Adventures gives you everything you need to run adventures in the pulp genre. From GM guidelines on the nature of the era to detailed mechanics about the heroes, to guidelines on how to resolve dramatic chase scenes. • More than a dozen new training packages. • Details on how to adjust the RMSS skill system for use in the pulp era. • Customized uses for background options. 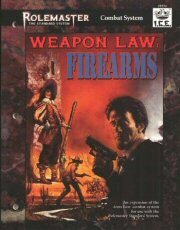 • Guidelines on how to use Weapon Law to provide a fully detailed combat system for the modern world. • Details on how to use magic in the pulp era. • Equipment lists for characters in the pulp world. • A timeline of major events for the pulp era. • Lists of motion pictures, radio shows, serials, dances, and personages of the era." • New training packages to represent the lifestyles and vocations of the dark fantastic-future. 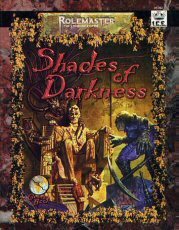 • Details on how to adjust the RMSS skill system to reflect the nature of the unique environment for characters in Shades of Darkness. • Rules for blending lost technology and fantasy into a seamless presentation of a dark campaign. • Guidelines on how the physical manifestation of corruption, The Taint, affects characters in play (slowly corrupting them to one evil or another). • New spell lists representing the new magic that is available on Earth."